Cricket World Cup is coming to Canterbury! The ICC Cricket World Cup trophy will Visit Canterbury this summer, as part of the cricket world cup trophy tour. For your chance to see the iconic trophy firsthand, head to The Beaney on Tuesday 14 May! 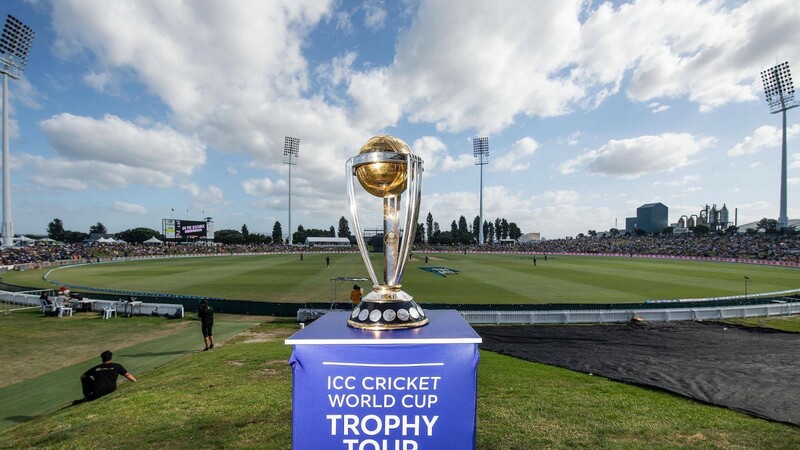 Kent Cricket and The Beaney House of Art & Knowledge are delighted to announce that the ICC Cricket World Cup trophy will be coming to Canterbury on Tuesday 14 May as part of the ICC Cricket World Cup Trophy Tour, driven by Nissan. The 12th edition of the Cricket World Cup takes place in England and Wales between 30 May and 14 July. The first match will be played at The Oval while the final will be played at Lord’s. It’s only the fifth time that the Cricket World Cup will be held in England and Wales, following the 1975, 1979, 1983 and 1999 World Cups. It will be on display to the public at The Beaney during the afternoon of 14 May. The exact times are still to be confirmed, but entrance will be free. The Beaney is the only public venue in Kent to host the trophy. Situated in the heart of historic Canterbury, The Beaney is an Art Gallery, Library, Cafe and Visitor Information Centre. This award winning facility provides state-of-the-art exhibition galleries, excellent educational facilities and a varied programme of events for all ages. Kent’s only city has also been home to the county’s first-class cricket team, Kent County Cricket Club, since its foundation in 1870. Kent Cricket’s Chief Executive Officer, Simon Storey, said: “I’m delighted that the Cricket World Cup Trophy is coming to Canterbury, the home of Kent Cricket. “It’s fantastic for the city and wider county that the biggest prize in World Cricket is coming here, with the eyes of over a billion people on England and Wales this Summer for this tournament.